We at N D Brown have an astounding fleet of over 450 vehicles available for hire throughout the UK, with a depot conveniently placed in Scotland so that we always have plenty of hot box vehicles ready to ship out to you, no matter where you’re based or what size you require. We have over 25 years of experience so you can guarantee that our road maintenance vehicles are of the very best of standards. 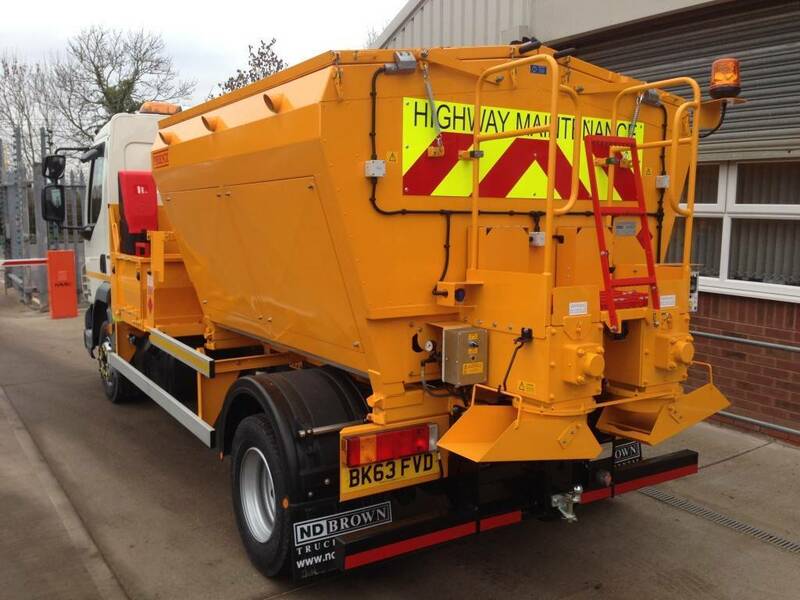 No matter what type of road repair you’re completing, we have the ideal hot box for you; highway maintenance can include such jobs as pot hole filling and pavement patching, but our hot boxes are capable of covering any road repair you require them to. We have a range of sizes available to cover all eventualities, so with our 7.5 tonne capacity to the 26 tonne capacity (and many options in between), you can be certain to find the ideal size for you. Each comes complete with an insulated container that has thermostat technology to control the internal temperature. With over 25 years experience in the industry, our staff are highly knowledgeable and capable of advising you if you’re unsure of anything. They take every precaution when it comes to checking the hot box vehicles for quality and consistently excellent condition, so you can always be sure that you’re hot box is at the highest possible standard when you hire from us at N D Brown. If you’re looking for dependable hot box hire in Scotland, get in touch with us at N D Brown; we’ll supply you with a durable, high quality hot box that you can count on to work to the highest of standards during your road repair. We can also answer any questions you may have – we’re always happy to help! Copyright © 2019 N D Brown Ltd.